While browsing Ultralight websites, I saw a fun looking project that I wanted to try. 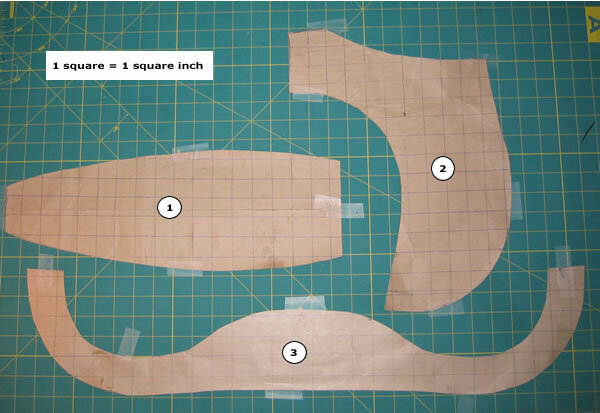 I'm putting together a step by step guide, as I could not find any good instructions on how to sew something like this together. I used 2.5oz Climashield Apex and 0.6oz MEMBRANE 10 nylon as listed for the Hoodlum. Repeat the process with the Climashield Apex insulation, but only cut 2x and 1x pieces. The next step is to stitch everything together. Start by sewing together the 2 shells. I used a basic straight stitch with the smallest needle I could find. Next sew the insulation by hand into the same shape. Now to sew it all together. Stack both shells on top of eachother, followed by the insulation (see the 3 pictures of the sample). Sew around the permimeter, but do not stich closed the back. Turn the hood inside out, through the unstiched hole and you should now have a great looking hat. Stich up the hole the best you can. I used my machine on it, but you could do it by hand. I added a small piece of stick on velcro, as I had some laying around. My wool beanie by icebreakers that I have used for the last few years weighed in at 41 grams. It kept me warm but it was never too impressive. The new full insulated hood, weighs 25 grams, and provides WAY more warmth. For a 1oz item, this will do more than any other item in your backpack to keep you warm. If anyone has some extra money to throw at me, it is available on Etsy, and I can make it in any color.